Have you found an online vendor selling Bundaberg Golden Reserve? I had an amazing opportunity to try a dozen different unopened Bundaberg's with my Aussie colleague last year and the Golden Reserve Bundy is pretty decent with coke, but has quite a strong flavor and even stronger afterburn, so I would not recommend neat sipping this one. The 3rd limited release bottle under the Master Distiller lineup. They should rename the bottle to 'Golden Catpiss'. They got the golden part right. Rum shows the lovely golden hue. First tried it neat and damn nearly threw up right there. 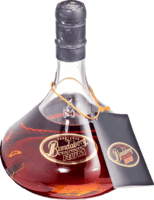 Another mix of immature rums, blended poorly. The rum has one hell of a kick. Plenty of heat/alcohol on the throat. Not very enjoyable. Not one of my favourites. Only ever had 1 bottle. Won't be opening another. plenty of other rums out there that I'd rather drink. No action here.